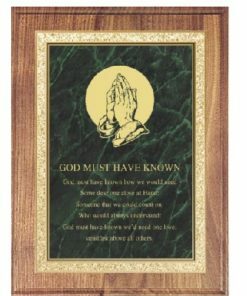 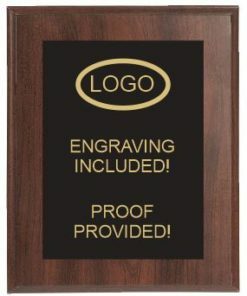 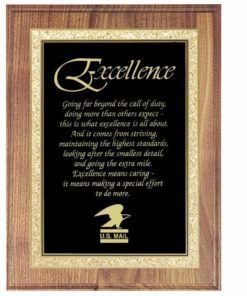 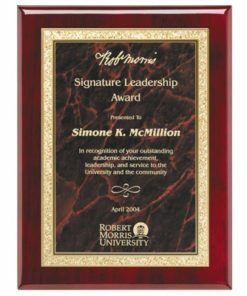 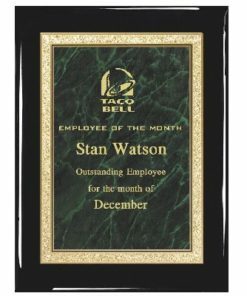 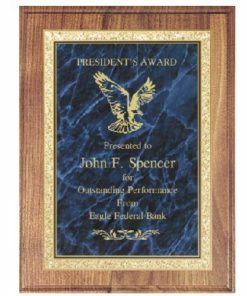 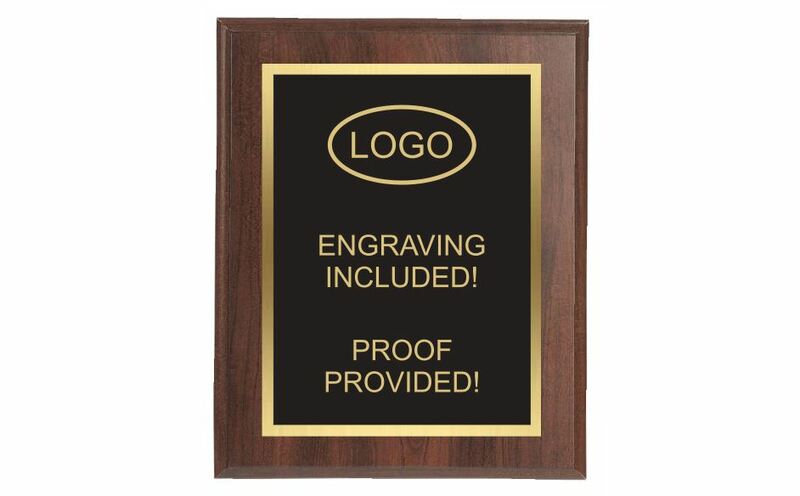 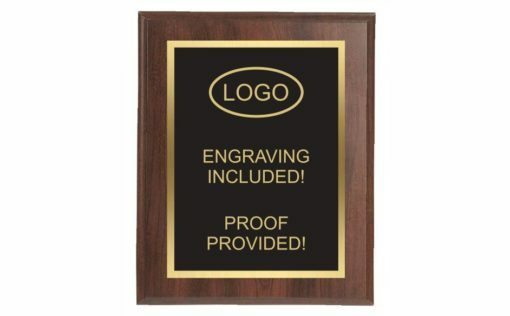 Elegant yet economical plaque with a cherry finish board and a black brass plate with a gold border. 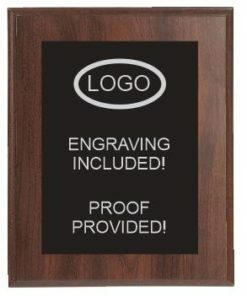 6 Sizes! 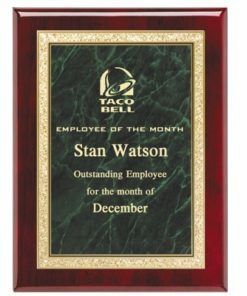 5"x7", 6"x8", 7"x9", 8"x10", 9"x12", 10"x13"